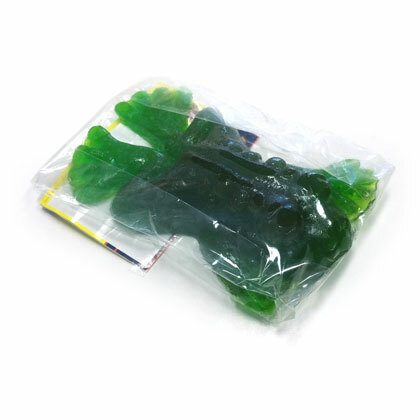 This giant gummi frog looks and feels like the real thing. Thankfully it doesn't taste like the real thing as it has a sour apple flavor. Grab one before they hop away! Approx. 7 ounces and 5 inches tall. 1 frog per order.